See for yourself how easy it is to use. 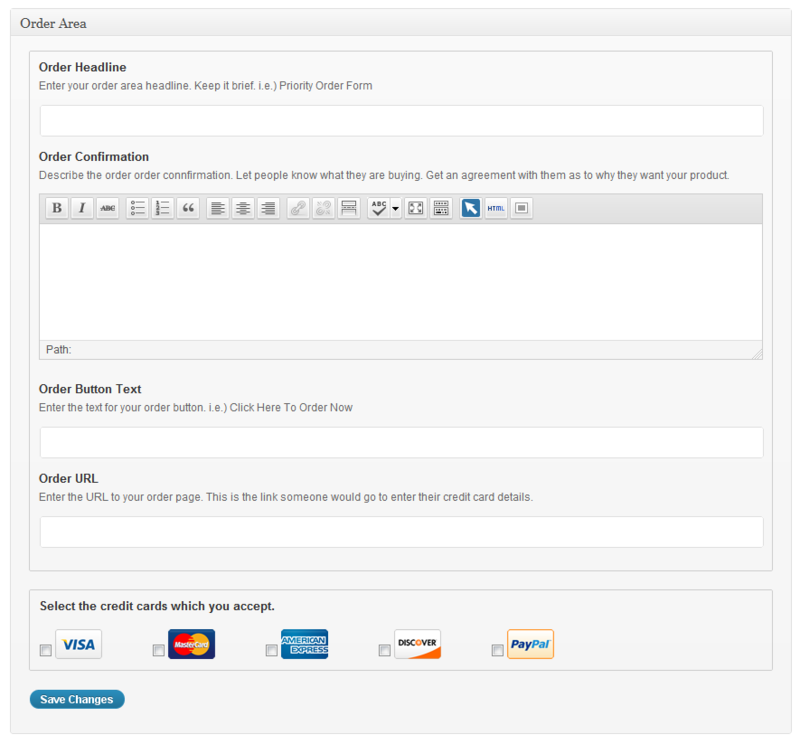 Click on a few sample images of our interface. Everything is laid out in a simple easy to understand format, so that anyone no matter what their level of technical expertise, can still create amazing sales letters with ease. The Big Question Is… What Makes Us Different? The biggest advantage WP Sales Letter has over the other solutions on the market, is the fact that we are a “PLUGIN” as opposed to a theme. WordPress Sales letter themes are great. In fact, I’ve even created one myself. The problem is when using a sales letter theme you have to change over your website to a whole new look and feel just to write a sales letter. Think about it for a moment. After all the hard work you’ve put into customizing your WordPress theme, now someone wants to make you change it. 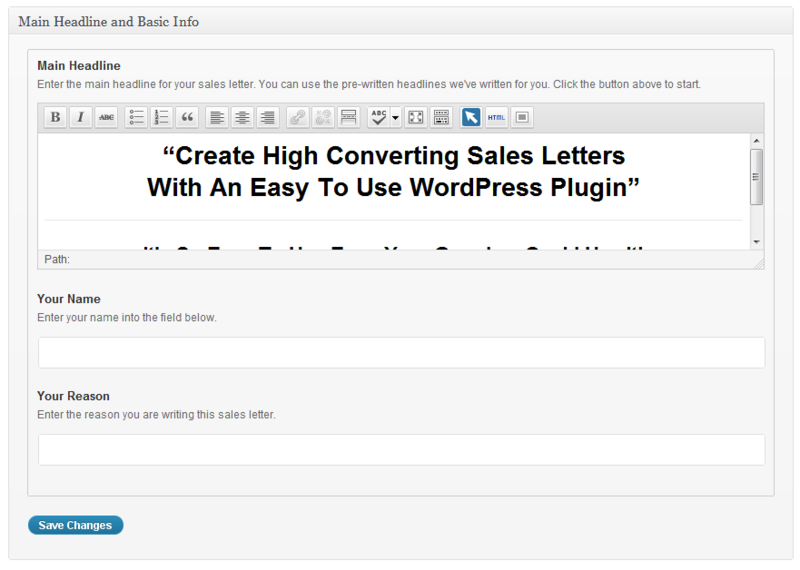 As I said, WP Sales Letter is a WordPress plugin. Simply install it like any other plugin and in seconds you are ready to start. We use your current header and footer and insert your new sales letter between them. Another major point is the fact that we are separate from your “pages”. 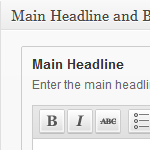 Meaning, WP Sales Letters “ARE NOT” added to your page functionality. 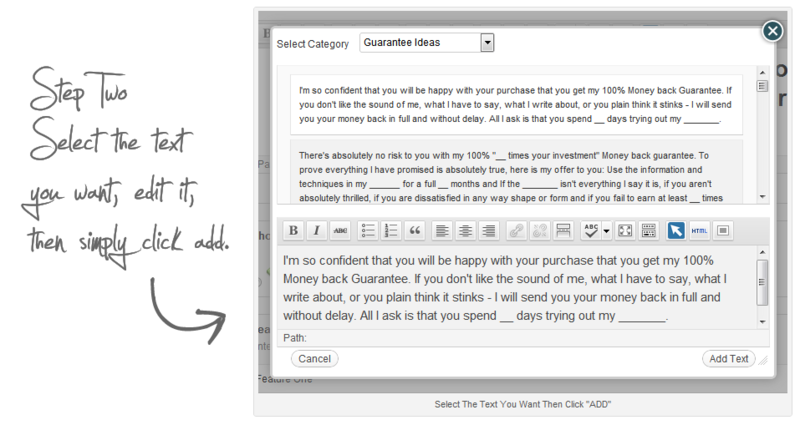 Each WP Sales Letter has it’s own settings within each sales letter page. You can easily Create, Manage and Edit your sales letters all from its own settings. So don’t worry about being confused, just click on the WP Sales Letter Menu and do what you want to do. We make it easy for you to use our amazing system. The thought of writing copy can honestly be quite intimidating. This has always been a big issue with anyone just learning to write copy. It’s been an issue many people have been struggling for years. After much thought and deliberation, we believe we have a solution and you should definitely be excited about it. We call it the Copywriter Idea Generator. So how does it work? Good question. Just click the “little blue button”, this is your gateway to incredible copy ideas. This will popup a window which gives you several categories of sample copy to choose from. Ideas for… Headlines, Introductory Phrases, Closing Statements, Guarantees and much more. These are all pre-written for you and you can modify them to meet your needs. The idea is to simply give you some great ideas to start with. This will make your life so much easier. With many WordPress plugins which are not stored in the WordPress Plugin repository, automatic updates are nearly impossible. 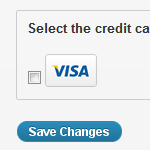 We knew this one feature was something our customers would definitely want. So, we created our own plugin updater which works seamlessly with the built-in WordPress update system. Whenever we have a new version of WP Sales Letter, you’ll instantly be notified right inside of your WordPress installation and you can automatically install the new update. It’s really simple and easy to do, just like your other plugins. We think this features is awesome. 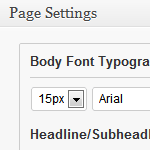 Shortcodes are extremely useful when working with WordPress. But, when you’re working with a layout that is visual in nature like a sales letter, a couple brackets really don’t mean much to you. You can’t see what the final product is going to look like. Our solution to this problem is using what we call “Visual Shortcodes”. What’s a Visual Shortcode? Well, it really comes down to two things. First highlight what you want and two add the style and instantly you’ll see what the output will look like. It’s very easy to do and use. Watch the video below to see how our Visual Shortcodes work. What Does WP Sales Letter Cost? If you’ve read this far, I’m sure you can can see the value in using WP Sales Letter. The next question is what does it cost. We’ve done our best to make it extremely affordable for anyone to use WP Sales Letter. We’ve broken down our customers into three primary categories to make it easier for you to decide which is best for you. Single Site License – $47: This allows you to use WP Sales Letter on a single domain which you own. Even though this is a Single Website License, you can create an unlimited number of sales letters on this one domain. Multi Site License – $77: If you are like many people online, you have multiple domains and websites. With our Multi Site License, you can use WP Sales Letter on every single website and domain you personally own and operate. Most people will fall into this category and at just $77 it’s certainly our best deal. Developers License – $97: We also know a few of you out there are website developers, meaning you develop websites for other people who could benefit from WP Sales Letter. To make your life and your client’s life easier, you can include an installation of WP Sales Letter on your client’s sites with our Developers License. Download WP Sales Letter Today! Use on ONE single site or domain which you personally own. UNLIMITED use on any sites or domains which you personally own. UNLIMITED use on any site you personally own, plus usage on your client sites. Simply install just like any other WordPress plugin. 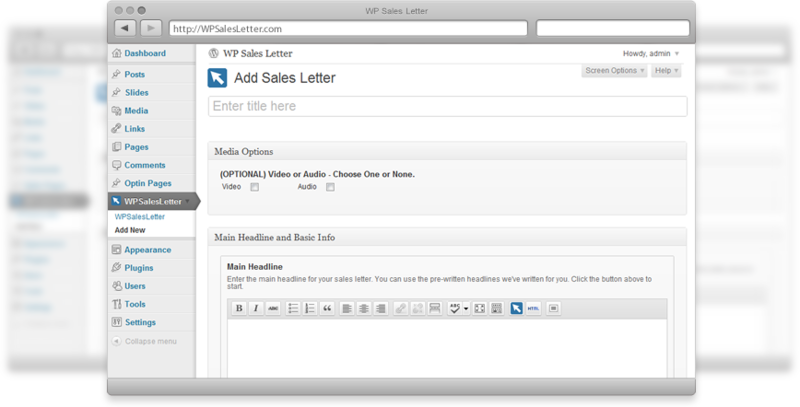 Once it's activated, just click on WPSalesLetter in the admin menu and start your sales letter. When use WPSalesLetters, you can create an unlimited number of sales letters for your products and services. All managed with an easy to use interface. 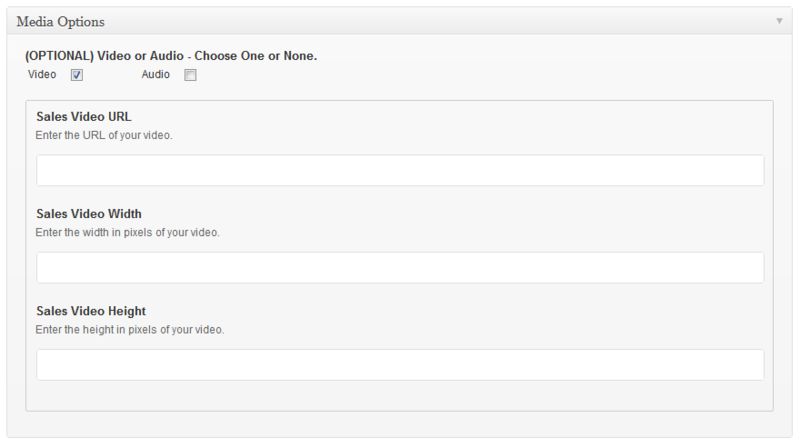 We have included a built in video player for your sales letter video. 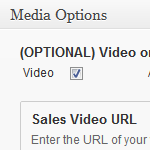 Simply enter the URL of your video and we take care of the rest. It just doesn't get any easier. 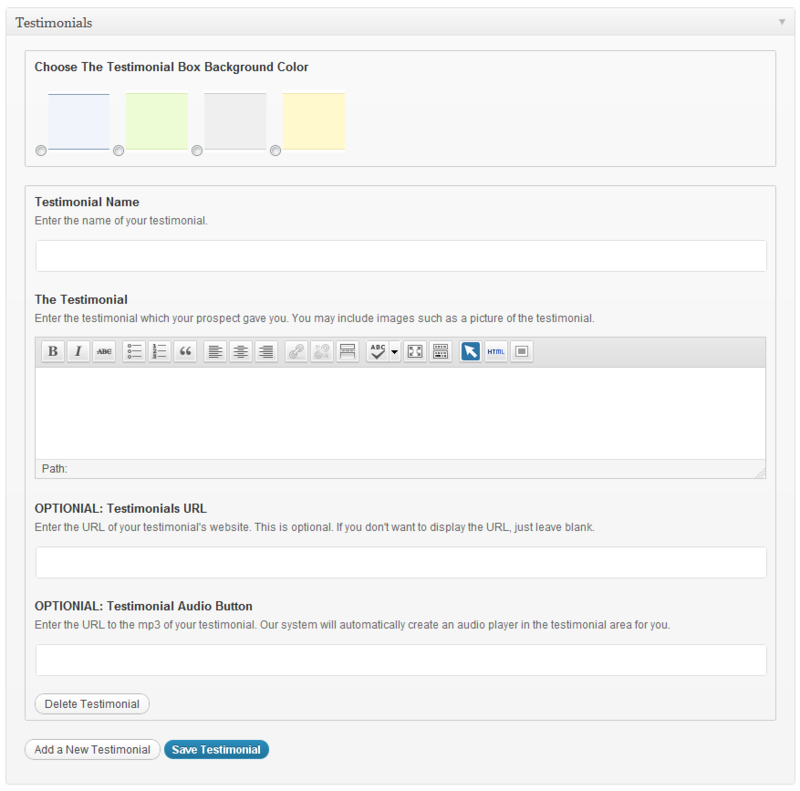 One of the great features we've added is a testimonial audio player. 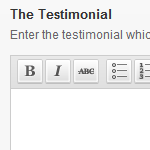 Enter the URL of your testimonial mp3 and instantly you'll have an audio player along with all your testimonials.